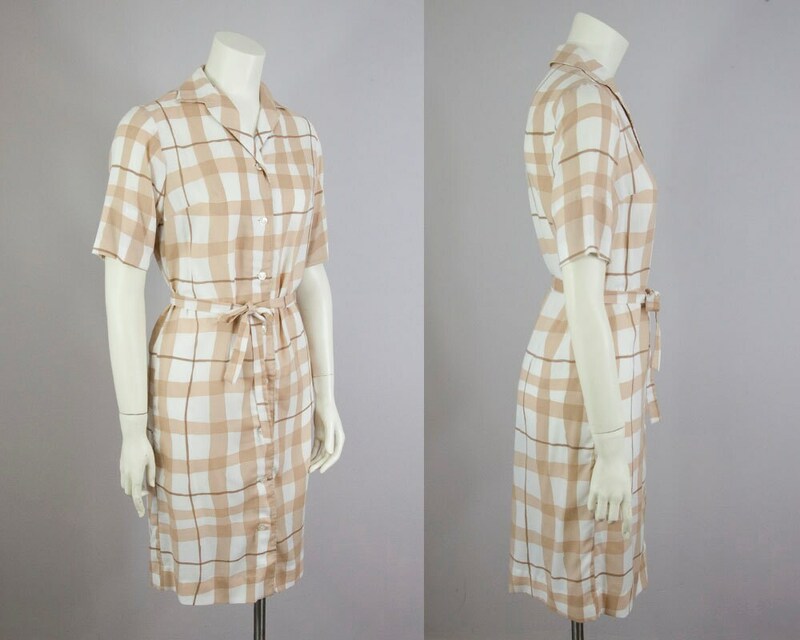 50s 60s vintage tan wavy asymmetric plaid dress. 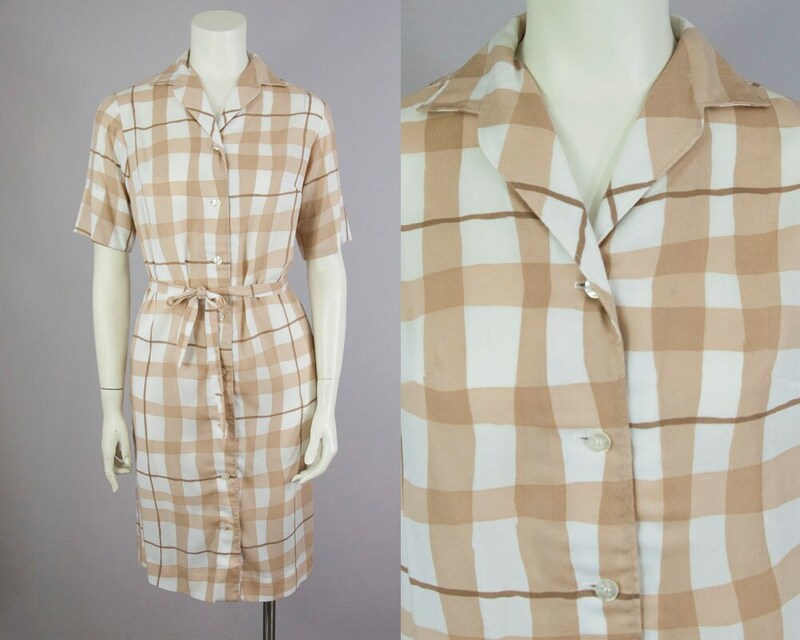 Collared neck with buttons down he front. Matching fabric sash but no belt loops. Left side front pockets. 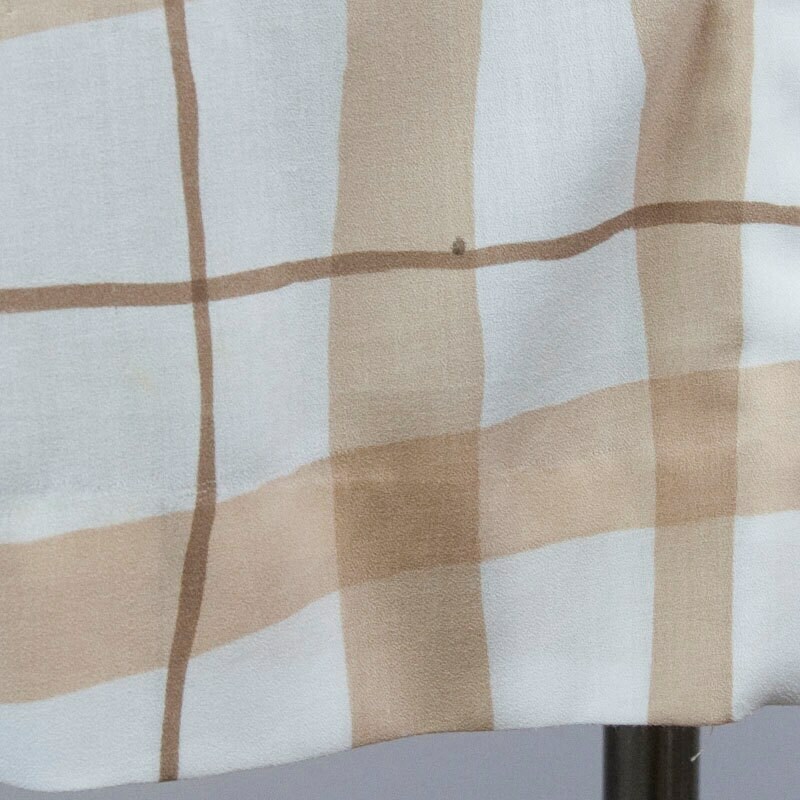 Lightweight soft woven fabric. Straight silhouette. 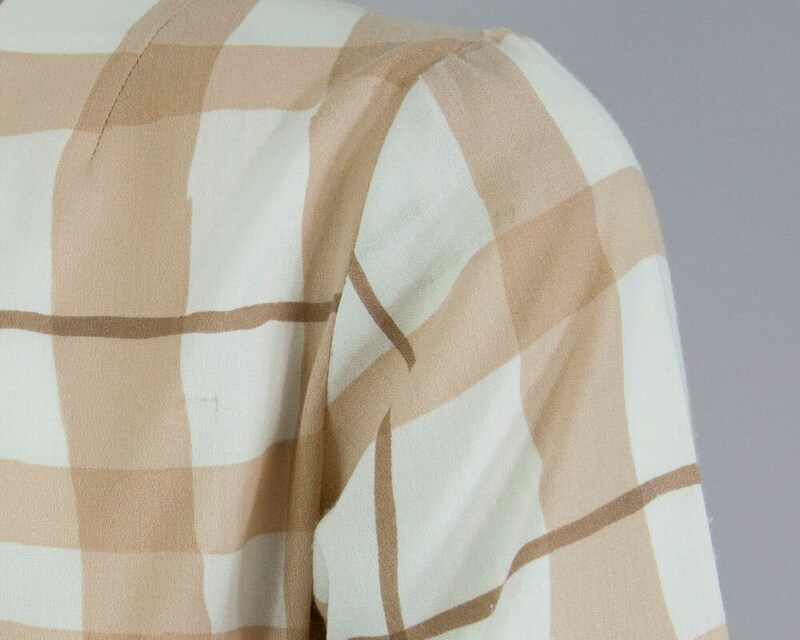 Fabric Content: n/a, best guess rayon or poly. 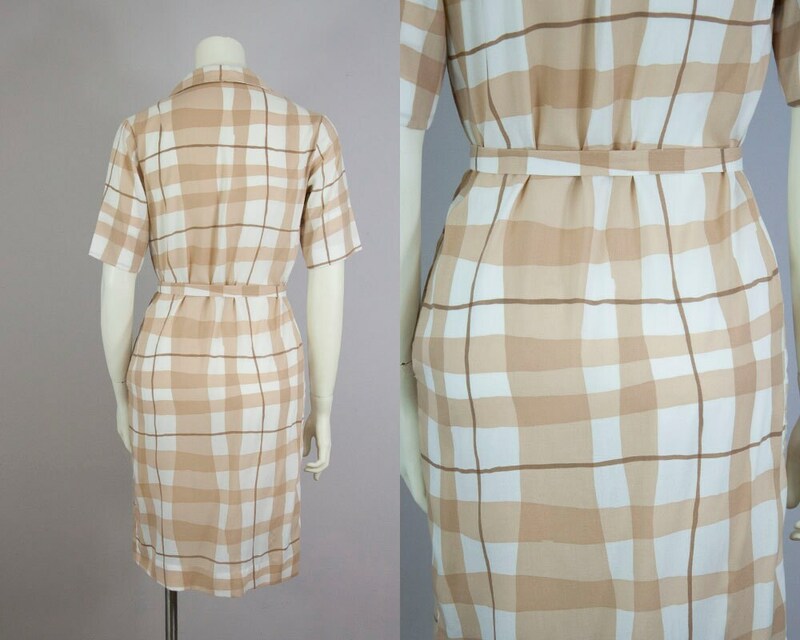 Imperfections: a spot near front hemline - shown in 4th photo. Very faint marks on right shoulder - shown in last photo. A tiny bit of pilling.